University of Texas, Arlington C.L.E.A.R. 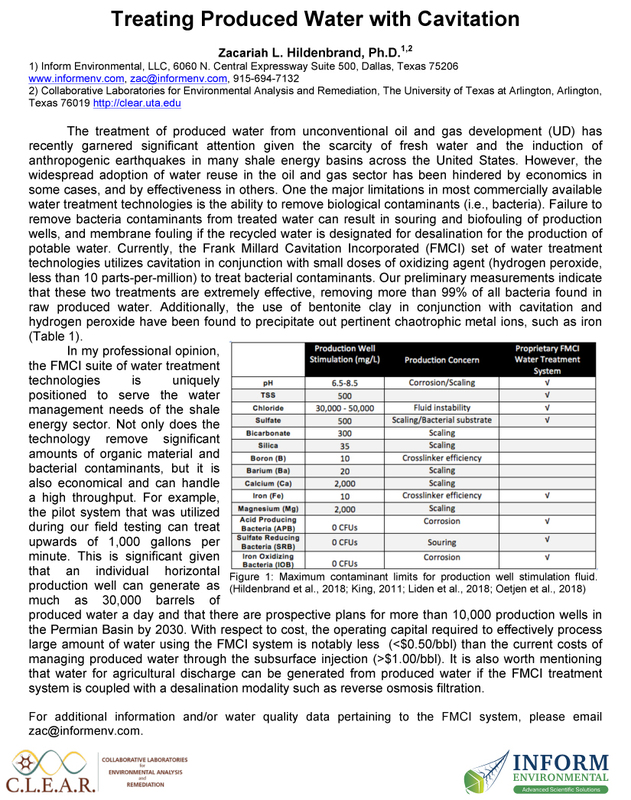 assessment of the Mitton Cavitation Reactor system for produced water remediation in the oil and gas sector. Please contact Scott Smith or Mark Dunne HERE for full technical details. View / Download test summary by clicking on the link below. Copyright 2019 © Mitton Cavitation Technology Inc.